A new year, so a good time to look ahead to what 2019 may bring. The year will undoubtedly have its share of surprises, but there are always some things we can know for sure. Among these is the inevitable progression of time, and thus the aging out of cardinals. In 2019, ten cardinals will celebrate their 80th birthday and so lose their right to participate in a conclave for the election of a new pope, as well as any duties they may have in the curia. The umber of cardinal-electors will drop from 124 to 114. Still a sufficient number, but Pope Francis has shown that he wants to keep the electors as close to their theoretical maximum of 120 (or over it, as the case is now), so a consistory may be in the books sometime towards the end of the year, or at the start of 2020.
Who may replace these cardinals among the electors is guesswork, as Pope Francis has never felt bound to pick his cardinals from the traditional places. Still, the list above could give some hints and we may assume that the Holy Father will choose cardinals for countries who no longer have any. That said, possible candidates could be Archbishop Marek Jedraszewski of Kraków, Archbishop Eamon Martin of Armagh and Archbishop Fridolin Ambongo Besungu of Kinshasa. Another source of new cardinals are the papal visits Pope Francis makes. He has made some of hosts cardinals in the past before. It may therefore be possible that we may see new cardinals from Panama, the Arabian peninsula, Morocco, Bulgaria, Macedonia, Romania (all confirmed visits), and perhaps Japan, Mozambique and Uganda (rumoured visits). Closer to home, a number of dioceses will be looking forward to new bishops this year. In the Netherlands, the Diocese of Haarlem-Amsterdam has just received a coadjutor bishop, although the sitting ordinary, Bishop Jos Punt, expects to remain in office until his 75th birthday in 2021. Health permitting, of course. In Belgium, Bishop Luc Van Looy of Ghent (pictured at left) has already had his retirement accepted. At 77, he completed a two-year extension to his mandate last year. He is to remain in office until the appointment and installation of his successor. Namur’s Bishop Remy Vancottem is, at 75, also past retirement age, so the southeastern diocese may see a new bishop before the year is out as well. In Germany, Bishop Konrad Zdarsa of Augsburg will turn 75 in June. Among the country’s auxiliary bishops, there is room in Freiburg im Breisgau where erstwhile auxiliary Bishop Michael Gerber was appointed to Fulda in December. In the headline-making department, there is of course next month’s meeting of the heads of all the bishops’ conferences in Rome, to discuss a unified Church response to the abuse crisis. Among the participants will be Bishop Hans van den Hende for the Netherlands, Cardinal Jozef De Kesel for Belgium, Cardinal Reinhard Marx for Germany and Bishop Czeslaw Kozon for Scandinavia. Currently gearing up in Panama, the World Youth Days will take place from 22 to 27 January. The first group of Dutch pilgrims have departed for the Central American country today, with more to follow. Among them will be Bishops Everard de Jong and Jan Hendriks. Bishop de Jong is again replacing Bishop Rob Mutsaerts, who has decided to stay at home as he is recovering from unplanned – and not further specified – surgery. Last year, Bishop Mutsaerts elected not to take part in the Synod assembly on youth and vocation in Rome. 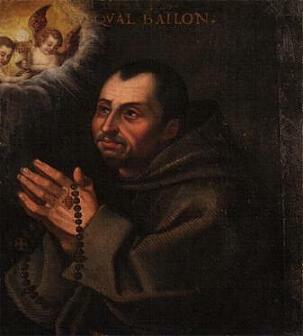 Bishop de Jong went in his stead. In October, the Synod of Bishops will gather again for a special assembly for the Pan-Amazonian region, to discuss the specific challenges for the Church there. The expectations are high, as many assume to what will be decided there, especially on the topic of married priests, will have global consequences. Participation in the special assembly is limited to bishops from the area, which means there is a minute Dutch link, at least when it comes to language, in the person of the bishop of Paramaribo, Msgr. 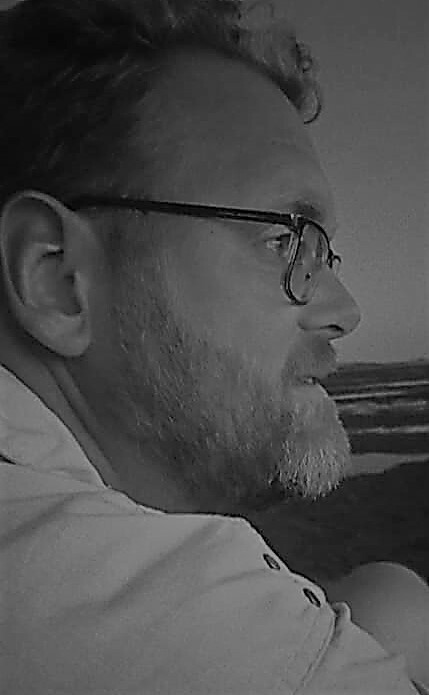 Karel Choennie. Bishop Choennie is a member of the pre-synodal council preparing the special assembly in cooperation with Synod of Bishops’ general secretariat. 2019 will undoubtedly bring much to be discussed in (social) media, and there is still plenty being carried over from previous years. Keeping track of everything, let alone formulating thoughts and responses can sometimes be a challenge, but it’s probably a good idea to remember that not finding words or timely responses does not mean one does not care. There are many opinions, and many eloquent ones at that, to be found everywhere. And, perhaps more importantly, there are also answers to be found in the past. After all, what was true and good in the past remains true and good now. That is something to remember when we are confronted with questions and developments which seem to challenge our beliefs, understanding and even faith. We have a deposit of faith and exegesis to fall back on, and many of today’s questions and challenges are not new ones. Today, nineteen martyrs of the faith will be beatified in Algeria. It’s a varied group of priests, religious sisters and a bishop and their martyrdom is not an ancient event. Rather, they were killed for being Christians in living memory, in te last decade of the 20th century. 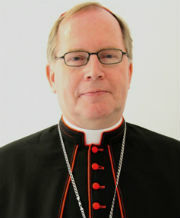 In his Advent letter, Bishop Johan Bonny of Antwerp presents us one of the soon-to-be Blesseds. Belgian-born White Father Charles Deckers. He, the bishop says, provides a modern face to Advent, a time of hope and expectation. These are what motivated Fr. Charles and the other martyrs in life, and these still remain. “What are we waiting for? A justifiable question. Every year it is Advent. Every year we dream about peace and reconciliation. Every years we read pages full of hope and expectation in the Prophets. Every year we construct a nativity scene with a child in the manger. Not once do we feel that those expectations are unnecessary or outdated. On the contrary, year after year current events bring new disappointments or challenges. Our greatest expectations still remain hidden as seeds in the earth, waiting for a better season. In the middle of Advent, on 8 December, the Antwerp-born White Father Charles Deckers will be beatified in Oran, Algeria, together with eighteen other martyrs. This group of Algerian martyrs also includes a bishop, six sisters, three other White Father and seven Trappists. We know the latter from the movie Des Hommes et de Dieux. Charles Deckers was born in Antwerp on 26 December 1924. He follows his secondary education at the college of Our Lady. During the Second World War the Jesuits implore their students to aid the needy inhabitants of the city. It marks Charles Deckers for life. After his secondary education he decides to become a missionary in Africa. He ends up in Algeria, then still a French colony. He studies Islam and learns both Arabic and Berber. In Tizi Ouzou, where he lives and works for the longest time, he has a special eye for the young. He establish a technical school where young people can learn a profession. During the Algerian War (1954-1962) he does everything to prevent young people from joining extremist or violent groups. Because the civil authorities do no appreciate his impact on Algeria’s youth, he is forced to leave the country in 1977. He remains abroad for ten years: five years in Brussels and five years in Yemen. In Brussels he takes part in the establishment of El Kalima, a centre of encounter and dialogue between Christians and Muslims. He is finally able to return to Algeria in 1987. As priest he is attached to the Basilica of Notre-Dame d’Afrique in the capital Algiers. Again, he works for encounter and dialogue, especially among the young. And again, he establishes a polytechnic. After 1990, political tensions in Algeria steadily increase. Fundamentalist Muslim groups commit deathly attacks against anyone working for peace and reconciliation in the country. Violence against Christians also increases. Despite the threats, most priests and religious decide to remain in the country. Charles Deckers also wants to stay, out of solidarity with the persecuted Christians and his threatened Muslim friends. It is a conscious decision, supported by a deep spirituality. On 26 December 1994 he celebrates his 70th birthday in Algiers. Days later he leaves for Tizi Ouzou, to visit his brother priests. Less than half an hour after his arrival a group of armed commandos break into the building and kill the four White Fathers present, among them Charles Deckers. Expectation is not giving in to despair or bitterness. It is continued hope for what seems impossible. After all, humanity’s most beautiful expectations are still hidden like seeds in the earth, waiting for better seasons. When will that hidden seed be able to sprout, grow and flower? It is an open question. This year, the martyrs of Algeria provide a modern face to Advent. The current holder of the youth portfolio, as well as his predecessor, in the Dutch Bishops’ Conference have, as expected, been chosen as delegate and substitute to October’s Synod of Bishops on youth and vocation. Bishop Rob Mutsaerts, auxiliary bishop of ‘s-Hertogenbosch, was chosen by his fellow bishops in the spring, and the Synod secretariat has now confirmed it. That confirmation also means that we may soon see a first list of delegates, although, it being summer, the publication could also take a few more weeks. 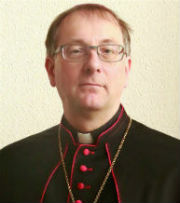 One name on that list will be that of the Belgian delegate, Bishop Jean Kockerols, auxiliary bishop of Mechelen-Brussels and former vice-president of COMECE. Should Bishop Mutsaerts be unable to attend, his place will be taken by Bishop Everard de Jong, auxiliary bishop of Roermond, who held the youth portfolio before Bishop Mutsaerts. Like most bishops’ conferences, the Dutch and Belgian bishops can both send a single delegate. Larger conferences, such as the German one, can choose more delegates. As Belgian politics are once more on the verge of discussing the topic of abortion and whether or not it should be decriminalised, the bishops of Belgium warn against the risks of doing so. Their concerns are not unrealistic, as recent developments in other countries have shown. The slippery slope of further liberalisation, actively sought out or not, is real, When abortion comes to be seen as a right, the room to disagree, to conscientiously object, starts to disappear. The bishops write that there are only ever losers in these cases, especially when abortion is considered as a normal procedure. “In our country, abortion has been legalised under certain circumstances for quite some time now. Several proposal have now been presented to the Belgian parliament to completely depenalise abortion. Current practice will perhaps not change much because of it, but it is nonetheless a serious decision with a strong symbolic meaning. The opinions on the termination of pregnancy will fundamentally change. And the consequences are significant. Hence, we ask ourselves questions. These are questions which transcend ideological boundaries. In a democracy the criminal code guarantees the protection of human dignity and the physical integrity of every person. Can this protection be disregarded when it is about human life developing before birth? The life that many people desire, which many protect and fight for, for which medicine makes the greatest progress, that precious life. Why should that life in its earliest beginnings not be protected as if it isn’t life yet? Abortion will never become commonplace. Not even when it is removed from the criminal code. It will never become a normal ‘operation’. It will never happen gladly. There are only ever losers. Certainly, circumstances can make people desperate and hopeless. Exactly then man is so distraught en lonely. If the law would then only suggest that it is a normal operation, no justice is done to what those involved experience and go through. Why then look for advice or assistance? The requests themselves run the risk of not being taken seriously from the start. It will only increase the desperation and loneliness. That is the danger we wish to point out: when abortion is removed from the criminal code, there is the risk that it becomes a normal medical intervention like any other. It is no longer an infraction in those cases provided for by the law. It becomes a right. Those questioning it or refusing abortion, will then have to justify themselves. And that is true for both the doctor and the woman involved. Even when the clause of freedom of conscience is maintained, it will be able to be invoked increasingly less. A medical intervention requires a medical decision, after all, and not so much a decision of conscience. By acknowledging that abortion is never considered gladly, never becomes normal, and that those seeking it out are often desperate, seeing no other option, the bishops show the way in how to deal with such situations. Not by presenting abortion as just another medical operation, but by acknowledging the pain and loneliness felt by the people involved, and by finding new ways of alleviating that. Not by killing an innocent person, but by standing with the parent or parents (because too often the mother stands alone in these situations).